In 2016, Swedish flamenco guitarist Robert ‘Robi’ Svärd release his debut album Pa’ki Pa’ka to widespread critical acclaim. Soon, Robert ‘Robi’ Svärd’s debut album Pa’ki Pa’ka was finding the wider audience that it so richly deserved. However, things got even better for Robert ‘Robi’ Svärd when he received the recognition of his peers. This is the recognition that deep down, every singer or musician secretly craves. In Robert ‘Robi’ Svärd’s case, hearing the praise of his peers meant that all his years of practise and studying had been worthwhile and he was gradually being accepted into flamenco’s inner circle. Traditionalists believe that unless the only true flamencos are those born in the Andalusia region of Southern Spain. In the eyes of the traditionalists, anyone born outside of Andalusia will never be regarded as a true flamenco. It doesn’t matter how technically brilliant a singer, dancer or guitarist the outsiders are. This would disqualify Robert ‘Robi’ Svärd from being regarded as a true flamenco as he was born in Sweden. Future flamenco Robert ‘Robi’ Svärd was born in Gothenburg, Sweden, in 1975, and developed an interested in the guitar at an early age. Robert ‘Robi’ Svärd was just four when he first picked up a guitar and strummed his first few chords. Straight away, he was captivated by the guitar, and began a journey that continues nearly forty years later. By 1992, Robert ‘Robi’ Svärd left Sweden behind to continue his musical education in Sydney, Australia. The young guitarist enrolled at the Sydney Conservatorium of Music where he was taught by Gregory Pikler. His guidance over the next few years, and Robert ‘Robi’ Svärd’s dedication and practise paid off. Soon, Robert ‘Robi’ Svärd was maturing and developing into a talented musician and artist who won many prizes and awards. Robert ‘Robi’ Svärd was nominated for the 1997 Young Achievers Award and won the Sydney Eistedfodd Classical Guitar Competition 1998. This led to an invitations to perform at the Sydney Opera House and on television and radio. However, this was Robert ‘Robi’ Svärd’s Australian swan-song. In 1998, Robert ‘Robi’ Svärd Robi decided to make the move to Seville, in Spain, to study flamenco. He was soon recognised for both his rhythmical and technical ability on the guitar. This was enough to earn Robert ‘Robi’ Svärd the respect of Seville’s flamencos. So much so, that between 1998 and 2002, Robert ‘Robi’ Svärd played alongside some of Spain’s popular musicians and accompanied many top Spanish dancers. This included Rafael Amador of Pata Negra, El Pechuga and La Cabra Mecánica. However, the biggest albums Robert ‘Robi’ Svärd played on was La Cabra Mecánica ’Vestidos de Domingo which was nominated for a Grammy Award. This was a huge boost to Robert ‘Robi’ Svärd’s career. Having recorded his debut album Pa’ki Pa’ka”, it was released to widespread critical acclaim on Asphalt Tango Records in April 2016. After the release of Pa’ki Pa’ka back in 2016 caused the album found an audiences within the leading figures within the flamenco scene. They were captivated the Swedish flamenco guitarist who they regarded as of their own. It didn’t matter that he was born in Sweden, not the Andalusia region. For Robert ‘Robi’ Svärd the recognition and respect of his peers made all the hard work and dedication worthwhile as he was regarded as a flamenco. 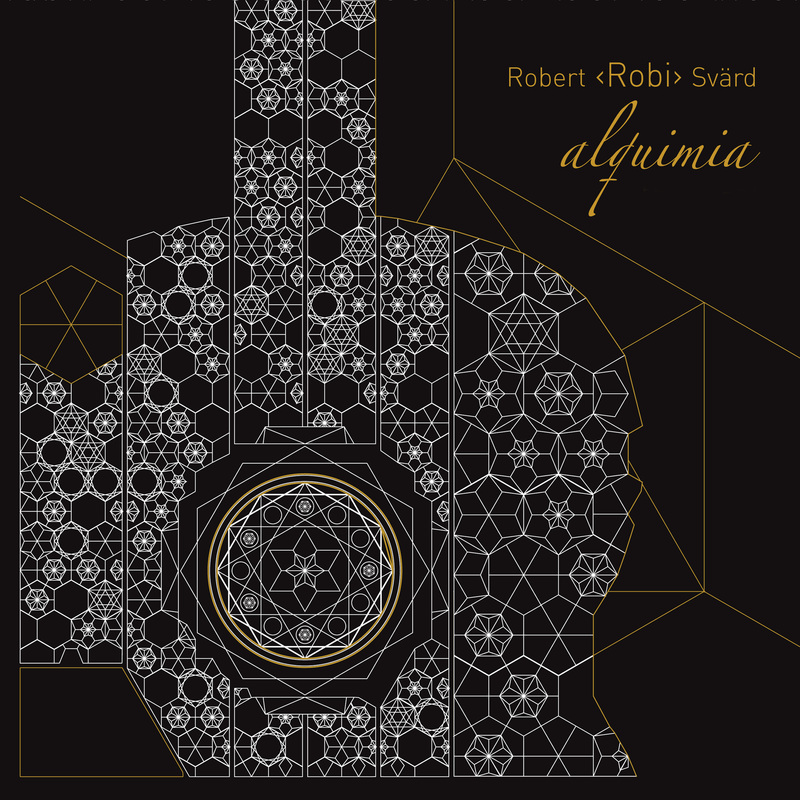 Robert ‘Robi’ Svärd’s peer even agreed to appear on his sophomore album Alquimia,which has just been erased on Asphalt Tango Records.This carefully crafted fusion of flamenco, Spanish and world music features an all-star cast. Some of the living legends and giants of flamenco join forces with Robert ‘Robi’ Svärd on Alquimia. This includes El Potito, Niño Josele, Luis Moneo and Pepe Torres who appear on Alquimia. So does Alfredo Tejada, whose sonorous and charismatic vocal played a leading role om Pa’ki Pa’ka. He makes a welcome return on Alquimia and is one of twenty guest artists that feature on what’s one of the best flamenco albums of 2018. Alquimia is an album that oozes quality from the opening bars of the title track right through to the closing notes of Reencuentro, Along with tracks of the quality if Alquimia, La Luna Quiere Bailarm, Nor Jugha and Callej¢n Del Agua Alquimia marks the musical coming of age of Swedish flamenco Robert ‘Robi’ Svärd on could future genre classic. Nice explanation of what traditionalists view. As for attention – secretly or not so secretly craved!